We thought that we’d have a practice game of Ex-Illis before the tournament in a couple of weeks time, so Dave and I set up a 2100 point game, limited to Lvl 15 units. 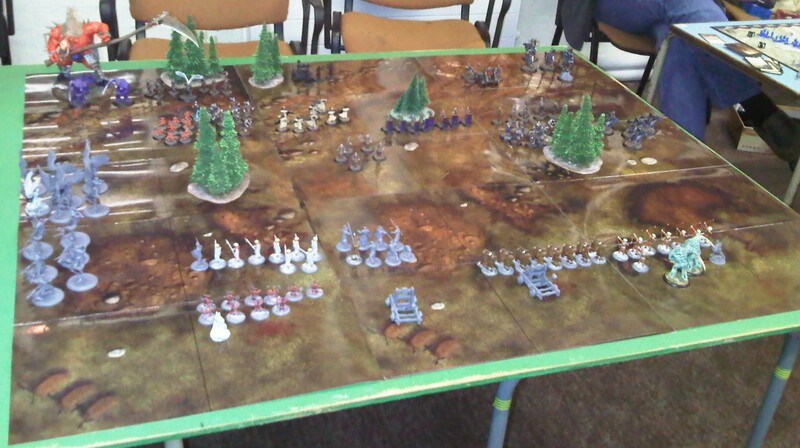 We also used a bigger board – amalgamating 2 boards to make a 6 x 5 board. OK, I know, I still have to finish painting my figures, but playing with a larger army on a bigger board completely re-invents the game. I lost (again), but it was great fun!